What’s the best camera for a photographer? 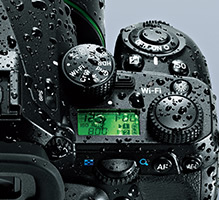 Throughout more than 50 years as a leading SLR camera manufacturer, PENTAX has always thought very seriously about this question, and developed the original technologies to provide good answers. 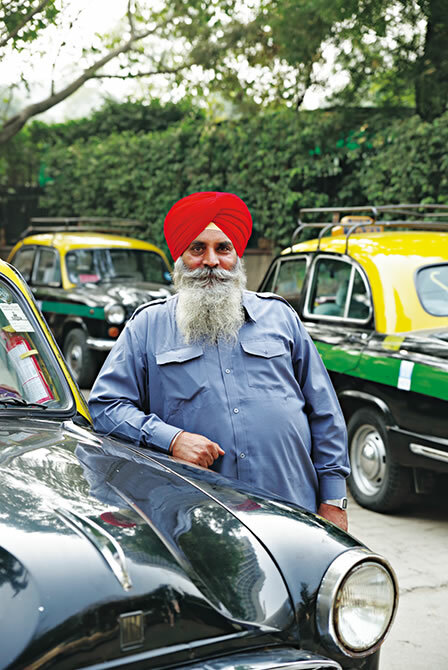 It’s a history of never-ending innovation and evolution. Based on its experiences and expertise accumulated over these years, PENTAX now has the final answer: a new 35mm full-frame digital SLR camera named PENTAX K-1. Proudly carrying the number “1” in its name, the K-1 reigns as the flagship of the acclaimed PENTAX K series. 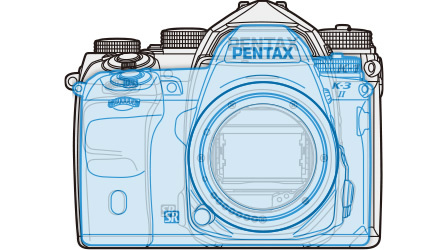 While inheriting PENTAX’s traditional compact, durable body design, the K-1 adds essential values to the 35mm full-frame format, including state-of-the-art high-resolution technologies drawn from PENTAX’s development of medium-format models, an array of exclusive shooting features, and remarkable environmental adaptability in the field. 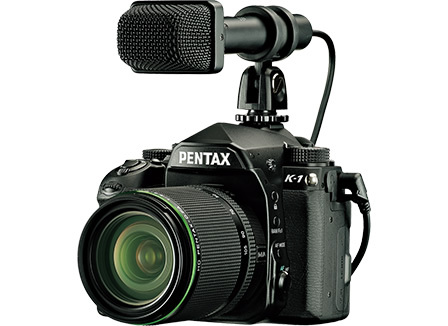 True to its number-1 naming, the PENTAX K-1 signifies the arrival of a new era in 35mm full-frame digital SLR cameras. The K-1 incorporates a newly developed 35mm full-frame CMOS image sensor, one that assures the highest image quality to be found in the K-mount SLR series. Thanks to its large imaging area and wide pixel pitch, this high-pixel sensor delivers lively, true-to-life images with rich gradation and minimal noise. Its shallow depth of field allows you to control the sense of depth and bokeh (defocused) effect at will. Thanks to its approximately 36.4 effective megapixels, the K-1 delivers breathtaking, true-to-life images—the kind that will seize the viewer’s imagination. Its exceptional resolving power captures each leaf of a distant tree or every drop of a spray in the finest detail. 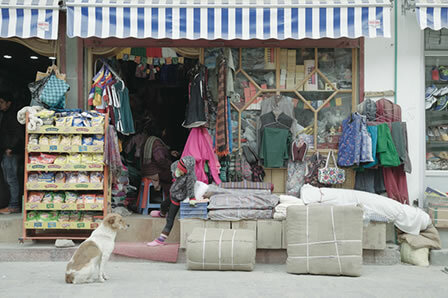 Since it provides image data large enough to produce a brilliant A2-size print (at 300dpi), the photographer is assured of great flexibility in image composition, either by cropping the image during shooting, or trimming the captured image during processing. By processing large volumes of data with its 14-bit image-processing system, the K-1 delivers beautiful, rich-gradation images. An optical AA (anti-aliasing) filter will affect the camera’s image resolving power, even though it will help reduce moiré and false color. 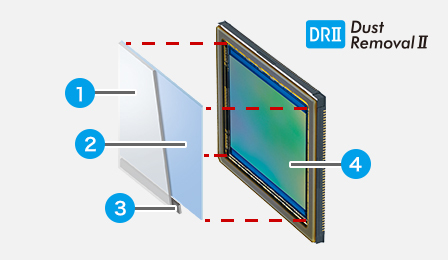 The K-1 incorporates an AA-filter-free design to optimize the image resolving power of its high-pixel image sensor. 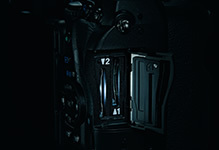 The K-1 features a newly designed PRIME IV imaging engine. Compared with the previous PRIME III version, it is fine-tuned to process higher-resolution images, while boosting the operating frequency by nearly 50 percent. 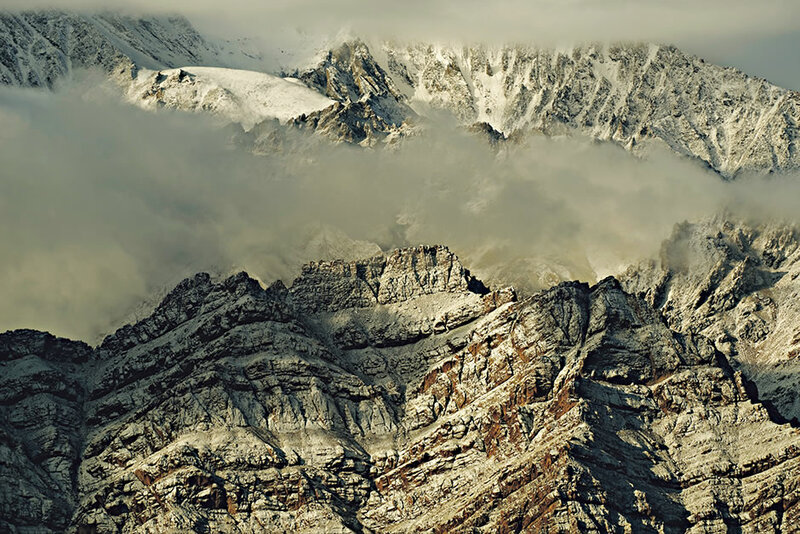 Its noise-processing algorithm has also been upgraded to capture beautiful, fine-gradation images at higher sensitivities. A combination of an advanced scene analysis system and new image-processing functions helps improve the accuracy and reliability of image reproduction. By taking full advantage of the image sensor excelled in noise-resistance performance and the PRIME IV imaging engine, the K-1 provides a top sensitivity of ISO 204800 (at standard output sensitivity). This not only delivers high-resolution images free of tone jumps and graininess at high-sensitivity settings, but also improves image quality in the low-sensitivity range. Since the K-1 allows you to raise the sensitivity level to capture images equal in image quality to those taken at lower sensitivities, it expands the boundaries of photographic expression. Reinforced with the SR (Shake Reduction) mechanism, the K-1’s Pixel Shift Resolution System* captures four images of the same scene by shifting the image sensor by a single pixel for each image, then synthesizes them into a single, super-high-resolution composite image. Compared to the conventional Bayer system, this innovative system obtains all RGB color data in each pixel to deliver beautiful images with far more truthful colors and much finer details, without any hint of false color. This system also reduces high-sensitivity noise to a minimum. 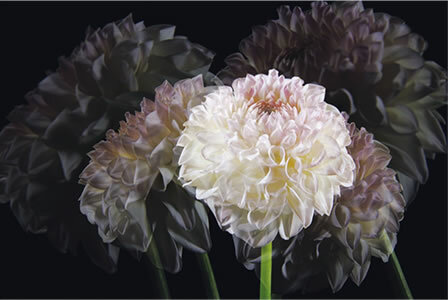 The difference in image quality is evident at a glance, even without magnifying the captured image on a computer screen or producing a large-size print. Images captured by the Pixel Shift Resolution System can be saved as RAW-format files. You can developed these files within the camera body while adjusting various parameters or turning the Pixel Shift Resolution effect on and off to create a new image. * When using this system, the user is advised to stabilize the camera firmly on a tripod during shooting by setting the drive mode to self-timer or remote control, or using the mirror lock-up function. * When the subject is on the move or camera shake occurs, the desired effect may not be obtained. By taking four shots sequentially, each pixel obtains color and brightness information of every RGB. 1/2 for green and 1/4 for R and B. 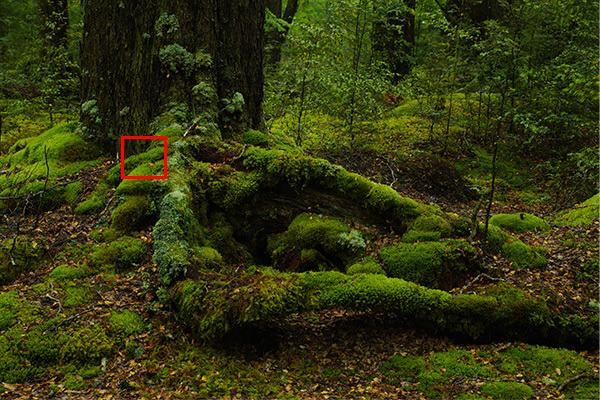 Estimate the deficient pixels by referring the neighbor pixel and outline information (pixel interpolation). differ, the result is false color and color moiré. *Images are for representation purpose only. * The movement may not be sufficiently corrected when the subject is moving in certain directions and/or patterns. This function does not guarantee that the movement will be properly corrected for all subjects. 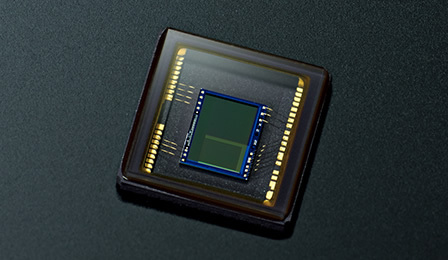 By using the camera’s SR mechanism to apply microscopic vibrations to the image sensor, the PENTAX-original AA (anti-aliasing) filter simulator* effectively minimizes moiré and false color along the image’s edges, which are common problems when shooting subjects with minute patterns. The K-1 allows you to faithfully reproduce your creative intention on a captured image, either by simulating the AA-filter effect for well-balanced images or by opting for the AA-filter-free mode for greater resolving power. *This function works most effectively with a shutter speed of 1/1000 second or slower. *This function may not be combined with some shooting modes. The K-1 effectively compensates for the distortion, vignetting and chromatic aberration caused by specific lens properties, and captures high-quality images with edge-to-edge sharpness. It even compensates for the fringe effect during RAW-data development. *Available in combination with D FA-, DA-, DA L- and FA-series lenses. 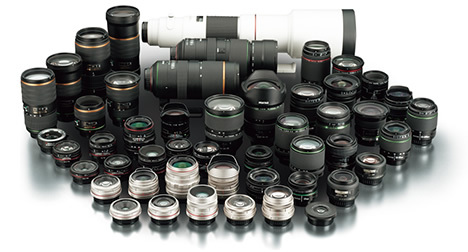 However, some of these lenses may not be compatible with these functions. No matter how many pixels and how much resolving power an image sensor may provide, the captured image can appear as a low-resolution image if the subject is outlined with thick lines. The K-1’s Fine Sharpness function outlines the subject with thinner, more natural lines than those created by normal processing to produce a high-quality, fine-detailed image. It allows you to create a fine piece of art, with a true-to-life description of the subject. The K-1 also provides an Extra Sharpness function, which emphasizes the subject’s outline more prominently with much finer lines, making it particularly useful for enhancing the outline of a low-contrast subject. 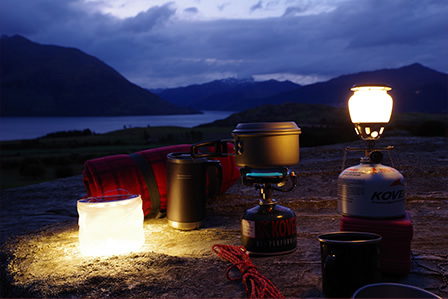 The K-1 overcomes challenging field conditions, such as poor weather, darkness and freezing temperatures. The PENTAX-original sensor-shift-type shake reduction mechanism has been upgraded to provide optimum compensation for all lenses used in handheld shooting. 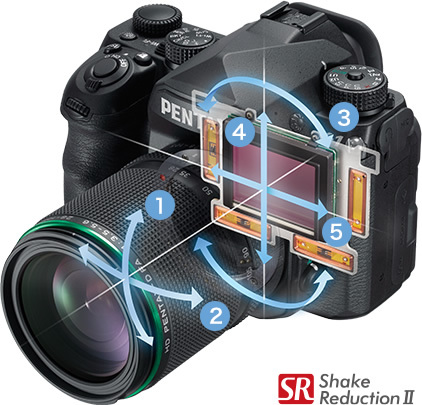 The new-generation SR II (Shake Reduction II) features a five-axis mechanism to compensate for camera shake caused by horizontal and vertical shift** (often generated in macro photography) and camera shake caused by roll, which is difficult to handle by lens-installed shake reduction mechanisms, in addition to more common camera shake caused by pitch and yaw. The SR II unit is controlled with great precision as soon as the camera’s power is turned on, and provides a wide compensation range — as much as five shutter steps*** — to expand the limits of handheld shooting. *For a 35mm full-frame digital SLR camera, as of February 2016 (based on RICOH IMAGING research). 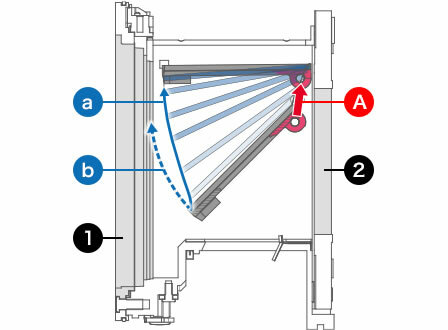 **During Live View shooting, this mechanism does not compensate for camera shake caused by horizontally and vertical shift. *** Measured in conformity to CIPA standards, using an HD PENTAX-D FA 28-105mm F3.5-5.6ED DC WR lens at a focal length of 105mm. 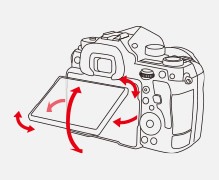 When taking a panning shot, this mechanism efficiently controls the SR unit to detect only the direction of the camera’s movement, while compensating for all other affecting vectors. Because of this, the K-1 captures beautiful, high-resolution images both in normal shooting and panning photography, without requiring any switching operation. Four Operation Assist Lights are strategically positioned around the camera body: at the upper side of the lens mount, behind the LCD monitor, at the memory card slot, and at the cable switch terminal. With a push of the illumination button, you can turn them on* to facilitate lens and memory card changes, control button operations, and attachment and removal of a cable switch, for more efficient, comfortable shooting of nighttime outdoor scenes and poorly lit indoor subjects. * The LED lights can be switched on and off individually. They are all set to the off mode at default setting. An illumination level of –3EV makes it difficult to see a subject with the naked eye, and almost impossible to make accurate focus with manual focusing. Even under such low-illumination conditions, the K-1 assures high-precision auto-exposure and autofocus operations. * Thanks to its upgraded algorithm, its autofocus response time for poorly illuminated subjects is greatly reduced. Coupled with its super-high-resolution imaging power, the K-1 delivers exceptional shooting performance in dark locations. 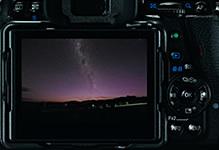 With a single push of a button, the K-1’s new Outdoor View Setting mode displays five brightness settings on its LCD monitor, allowing you to easily and quickly set the desired brightness level for a given location — brightening the monitor under dazzling sunshine or darkening it under starlit skies. * Light metering measured at ISO 100 and with a 50mm F1.4 lens; focusing measured at ISO 100, at room temperature and with 25 middle sensors. A combination of the K-1’s 87 sealing parts and the optional D-BG6 Battery Grip’s watertight body prevents the intrusion of water and dust into their interior. When an AW- or WR-series lens is mounted,* the K-1 and its lens forms a remarkable digital imaging system totally resistant to demanding environmental factors. * AW stands for All Weather (dustproof and weather-resistant construction), while WR stands for Weather Resistant (simplified weather-resistant construction). Anticipating use in cold locations, PENTAX has subjected the K-1 to exacting environmental tests at temperatures as low as –10°C, and gathered a vast array of data on operational precision, response and stability of mechanisms and circuits, as well as fluctuations in battery voltage. * As the result, the K-1 assures solid, trouble-free operation even at freezing temperatures. Using its piezoelectric element, this innovative mechanism applies ultrasonic vibrations to the optical glass panel placed in front of the image sensor. This effectively removes all dust particles clinging to the image sensor surface, and prevents annoying dust spots from appearing on a captured image. * Battery performance declines as the temperature goes down. When shooting in cold environments, the user is advised to carry spare batteries and keep them warm by storing them in an inside pocket. The K-1’s exterior casing is made of highly rigid, lightweight magnesium alloy, which provides excellent shock-resistance and electromagnetic shielding performance. By coupling it with a high-rigidity metallic chassis housing the core components, the K-1 forms a compound structure to assure outstanding durability and exceptional reliability. After a series of exacting performance tests, the K-1’s shutter unit has proven its exceptional durability by withstanding a total of 300,000 shutter releases. It assures outstanding operational precision and exceptional durability required for exacting professional work. Aiming at aligning the photographer’s line of sight precisely with the camera’s optical axis while providing a flexible angle adjustment, PENTAX has designed an ideal LCD monitor for the K-1 by creating an innovative mechanism that supports the monitor with four stays. This monitor has reached two difficult goals that conventional monitors have failed to attain: no deviation from the optical axis; and unrestricted tilt in all directions, horizontally or vertically. 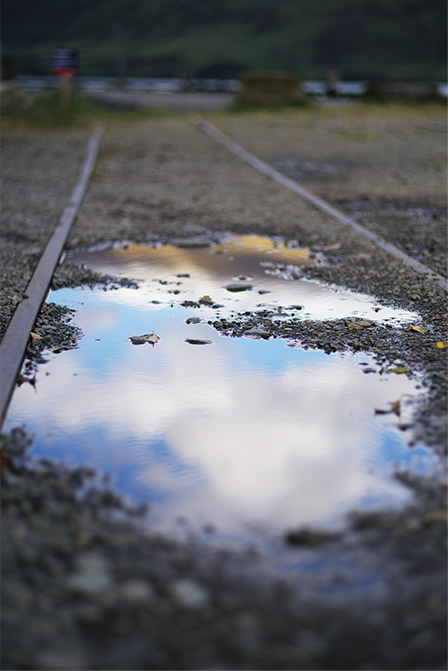 You can even tilt it up to a nearly 90-degree angle for low-angle and waist-level photography. The K-1’s Air Gapless LCD monitor uses a special resin layer applied between the protective panel and the LCD screen to effectively cut down internal reflections. Coupled with the Outdoor View Setting function, it assures excellent visibility even under bright sunshine. 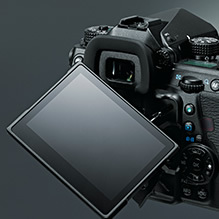 In the Live View mode, the K-1 provides a wide range of picture-taking tools. Thanks to its Flexible Tilt-Type LCD monitor, you can clearly view the on-screen image from different angles to optimize shooting comfort. images. 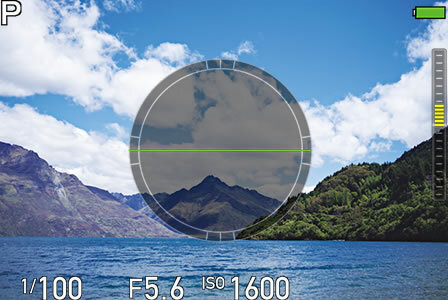 The Auto Horizon Correction function* rotates the image sensor to compensate for the camera’s horizontal tilt, making it useful in handheld shooting. The Composition Adjustment function** allows you to make minute adjustment of image composition with a shift of the image sensor. It comes in handy for Live View shooting using a tripod. 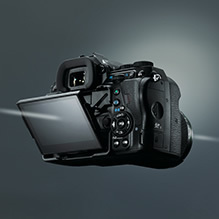 The K-1’s Smart Function is a brand-new camera operation system harmonizing an array of features with ease of operation. This functional camera operation system lets you swiftly choose and set the desired function using just two dials positioned on the camera’s upper panel, without needing to refer to the menu screen on the LCD monitor. 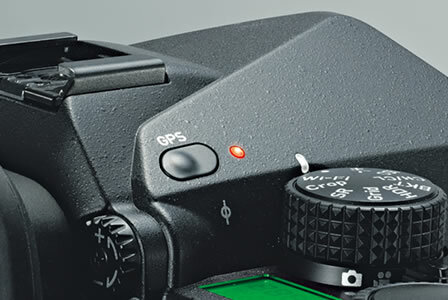 The K-1 features a built-in GPS module and Electronic Compass, which together display the camera's direction on the LCD monitor. These features allow you to attach Exif data to recorded images, including the location, direction and time of shooting (using Universal Time Coordinated). 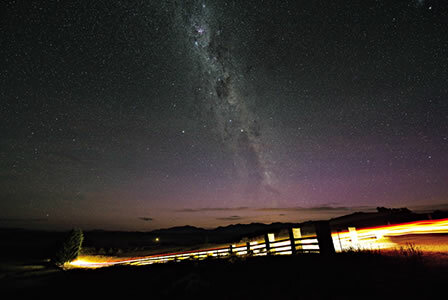 This comes in particularly handy in situations where you must make meticulous preparations in advance for the direction of shooting, such as the shooting of sunrise scenes and celestial bodies. 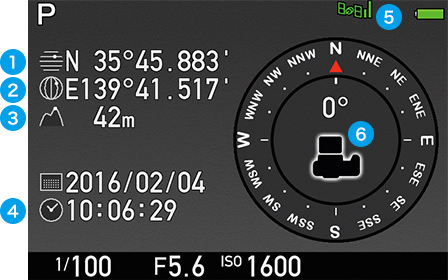 The K-1’s GPS Log function automatically keeps track of the photographer's movement at fixed intervals. By loading a log file on your computer, you can trace the route you have traveled using a mapping application such as Google Earth™. By making full use of its GPS module, Electronic Compass and SR mechanism, the K-1 simplifies the astronomical photography of celestial bodies, without the help for an equatorial telescope. Based on the latitude data obtained from GPS satellites and other affecting factors (the camera’s direction and horizontal/vertical tilt) obtained by its various sensors, the K-1 calculates the movement of celestial bodies, then synchronizes the movement of its image sensor with that of celestial bodies with great precision. Since it captures stars without a streaking effect even during extended exposures, you can record faint stars, which are difficult to detect with the naked eye, as point images. * The user is advised to use a tripod to stabilize the camera. * The user is advised to read the operating manual thoroughly before shooting. * ASTROTRACER cannot be used with some shooting modes, such as interval shooting and interval composite shooting. * The focusing screen is fixed on the camera body, and is not interchangeable. 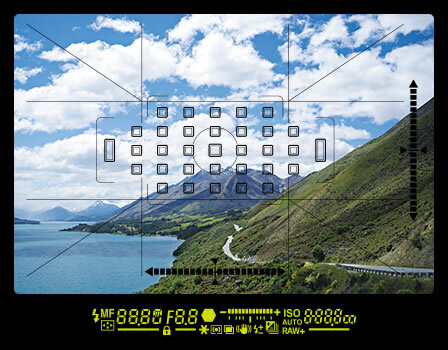 The K-1’s transparent LCD viewfinder display allows you to select desired data, such as a grid display, and monitor it in the viewfinder. It comes in handy when correcting the camera’s tilt using the digital level or rearranging the image composition using a grid pattern, without taking the eye off the subject. 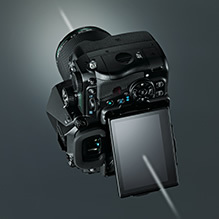 Transparent data to be displayed in the viewfinder (grid pattern, Digital Level, AF frame and spot-metering frame) can be turned on and off independently to accommodate varying shooting conditions and preferred shooting styles. * All viewfinder display data, except the crop frame, is simulated to explain the function. From ultra-wide angle to super telephoto, an entire selection of high-performance DA-series lenses can be used on the K-1 without any modification. They deliver exceptional image quality, despite their compact, lightweight design. 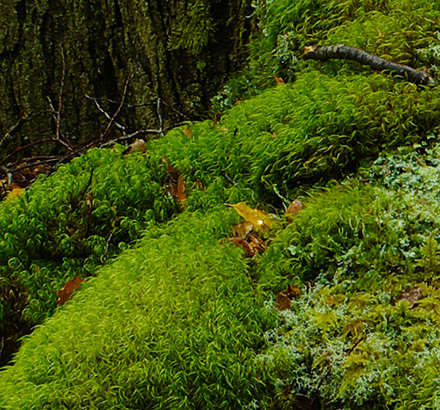 * The lens categories are classified in the Crop mode. * With certain lenses and/or under certain photographic conditions, a captured image may suffer a drastic drop in brightness and/or resolution in the areas outside the APS-C image area. This setting does not provide compensation of various lens aberrations. * This image displays all AF sensors for an explanatory purpose. 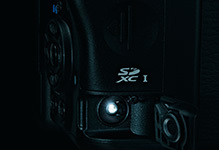 The K-1 provides a wide range of customization settings to optimize the ease and comfort of camera operations. These settings have been designed to expand the functions of the USER Mode and the Fx (function) buttons, improve accessibility to desired functions on the control panel, and prevent accidental operational errors. Five different combinations of the most frequently used functions can be assigned to this mode to handle specific subjects or creative intentions. This panel displays a list of the functions and their status on the LCD panel, while allowing you to change the contents and/or order of listed functions to suit your shooting style. One of the functions governing AF operation can be assigned. An optical or digital preview mode can be assigned. 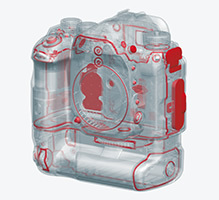 A set of exposure mode can be assigned. A total of 26 Custom Functions are available with the K-1. In order to prevent accidental setting changes, the K-1 provides a lock button to temporarily inactivate control buttons and dials. It offers you a choice of two lock functions: Type 1 to prevent unintended exposure setting changes; and Type 2 to prevent operational setting changes. 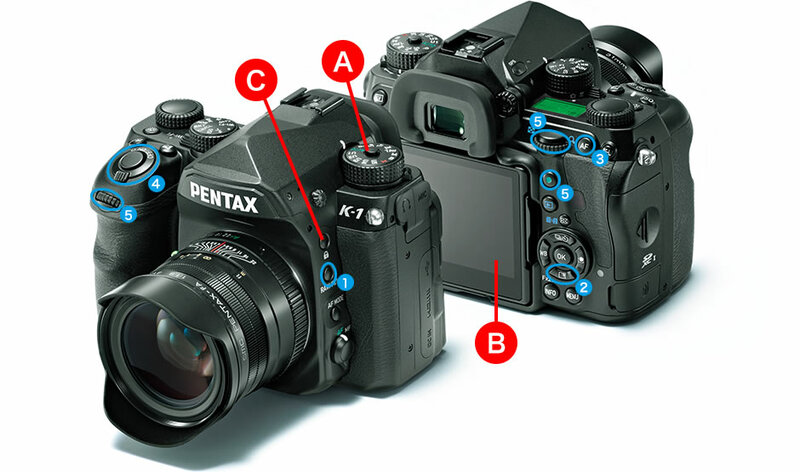 The K-1 inherits PENTAX’s development concept of a compact body and ease of handling in the field. PENTAX has completely restructured the mechanical unit containing the shutter charge and mirror driving mechanisms, while repositioning the finder unit to keep the camera’s height to a minimum. 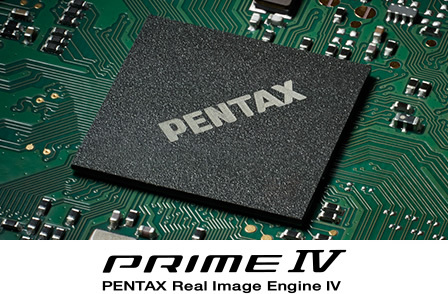 PENTAX’s advanced high-density packaging technology has succeeded in creating a compact, maneuverable body for the new K-1. In order to accommodate the 35mm full-frame image sensor and cover the light flux of the large viewfinder with a nearly 100-percent field of view, it was necessary to increase the size of the main mirror and mirror box. 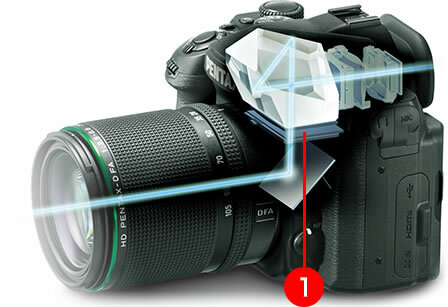 To minimize the size of the mirror box, PENTAX has developed a new mechanism that retracts the main mirror as it swings upwards. The main mirror and its pivot retract at mirror-up position. 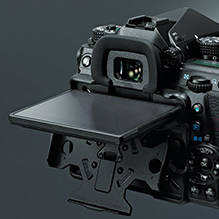 Supported by the approximately 86,000-pixel RGB light-metering sensor and the new PRIME IV imaging engine, the PENTAX Real-time Scene Analysis System analyzes such factors as brightness distribution in the image field, the subject’s primary color and its motion with great accuracy and efficiency. In addition, by adopting a breakthrough artificial intelligence technology called deep learning to its image detection algorithm*, this system assesses each individual scene more accurately, while optimizing the accuracy and performance of the light-metering, exposure-control and autofocus systems, and selecting the most appropriate finishing touch for a given scene or composition. * This RICOH-original technology is available during viewfinder shooting when the exposure mode is set to Scene Analyze Auto and the Custom Image mode is set to Auto Select. The K-1’s AF frame has been widened to optimize the ease of image composition over a larger 35mm full-frame image field. Thanks to the development of a new SAFOX 12 AF sensor module, its autofocus area is approximately 40 percent wider than a conventional AF frame. * In order to contain a longer optical path required for the expanded AF area within a compact housing, the K-1 features an innovative, efficient optical design in which the incoming light is turned back within the AF module. Thanks to the optimization of the condenser lens, it also provides an increased number of AF sensor points (33 in total). This state-of-the-art AF module boosts both compact dimensions and exceptional image-forming performance. 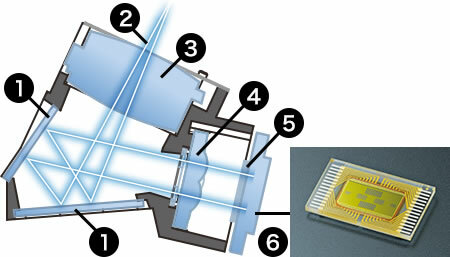 A light source sensor is positioned next to the pentaprism to optimize autofocusing accuracy by compensating for focusing errors caused by specific artificial light sources. The K-1’s approximately 86,000-pixel RGB light-metering sensor not only delivers outstanding resolving power, but also detects colors with great precision. After accurately measuring the subject’s shape, primary color and motion, it feeds the obtained data to the PENTAX Real-time Scene Analysis System for extra-accurate scene analysis. The K-1’s sophisticated 33-point AF system has a high-density distribution of AF sensors to effectively monitor crucial areas of the image field, while providing 25 cross-shaped sensors to assure extra-accurate focus on the subject. 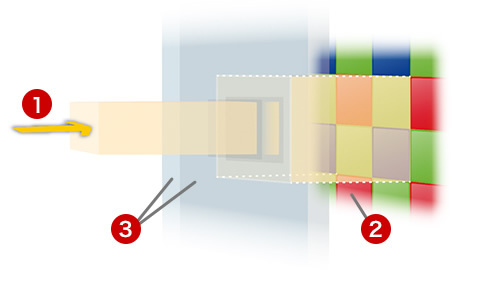 Three center sensors are designed to detect the luminance flux of an F2.8 lens for high-precision autofocusing. When using a very fast lens with a shallow depth of field, these sensors can greatly improve the focusing accuracy. This mode lets you select a set of nine points forming a square, which can be shifted as desired by moving the center point. 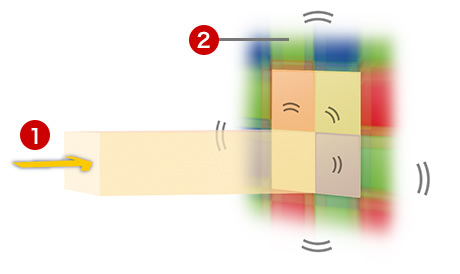 It detects a subject placed within this square, optimizes the focus, and tracks its movement — all automatically. The number of AF points may decrease if the selected expansion area includes an area or areas outside the AF frame. 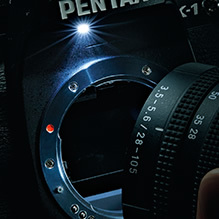 Supported by the PENTAX Real-time Scene Analysis System, the K-1’s Auto Tracking function accurately detects the subject’s motion based on various factors including color, then keeps pinpoint focus on the subject throughout the imaging process by automatically shifting the in-focus point. 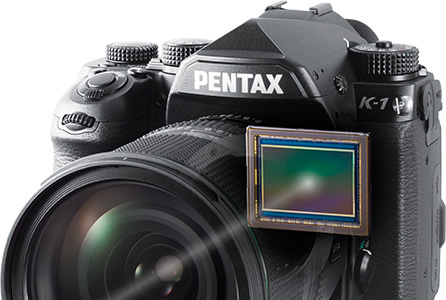 Supported by the PENTAX Real-time Scene Analysis System, the K-1’s Scene Analyze AUTO mode automatically optimizes exposure settings, and selects the most appropriate finishing touch for your subject. When using the optical viewfinder, it is also assisted by an algorithm that adopts the deep learning artificial intelligence technology, and makes an extensive analysis of a given scene based on the enormous volume of data accumulated from previous scenes. In addition to the conventional Program (P), Aperture-Priority (A) and Shutter-Priority (Tv) modes, the K-1 also provides the PENTAX-original Sensitivity-Priority (Sv) and Shutter-speed/Aperture-Priority (TAv) modes, both of which assure proper exposure on the subject by factoring the ISO sensitivity more prominently into exposure-control operation. This multi-mode system assures more flexible control of exposure settings to express the subject’s motion or the depth of field. It also provides a wide exposure compensation range of ±5EV (in still-image shooting) to expand a range of exposure control. The K-1 features an electronically controlled, vertical-run shutter to optimize the performance of the 35mm full-frame image sensor. With a top speed of 1/8000 second, it allows you to open up the aperture, even in bright locations, and take full advantage of the bokeh (defocus) effect created by the large image sensor. It also provides a flash synchronization speed of 1/200 second. Symbolizing the K-1’s field camera concept, this unit is designed to be compact and lightweight, with a well-balanced combination of high-precision operation and outstanding durability. The K-1 provides high-speed continuous shooting at a top speed of approximately 4.4 images per second (at CH setting). You can also switch instantly to an optional speed setting of three images per second (CM) or 0.7 images per second (CL) using the main menu or Smart Function. 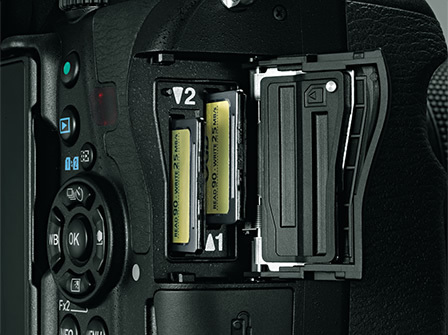 In the APS-C Crop mode, the drive speed can be boosted to as high as approximately 6.5 images per second to assure quick response to fast-moving subjects. In the Program (P) mode, the K-1 features the PENTAX-developed Hyper Program mode, which allows you to set a desired shutter or aperture speed using the front and rear e-dials, while retaining a proper exposure level. This eliminates the need for turning the model dial when switching to the Tv or Av mode. The combination of aperture and shutter speed can be changed without affecting the memorized exposure value. 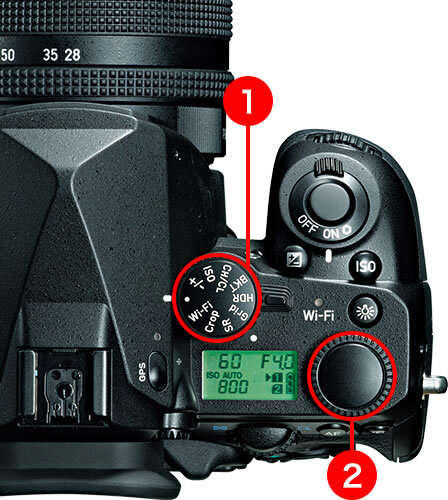 In the Hyper Manual (M) mode, one push of the green button instantly sets the same aperture and shutter-speed settings as those of the P mode for proper exposure. 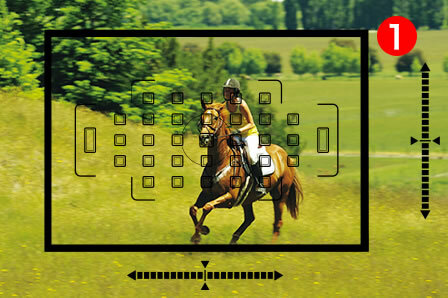 Then, you can adjust the exposure to a desired level using the front and rear e-dials. With the AE-lock function, you can even shift aperture and/or shutter-speed settings while retaining the initial exposure level. When you set the Smart Function to the ISO mode, you can enjoy more flexible control of the three primary exposure parameters — aperture, shutter speed and ISO sensitivity — in both the P and M modes, using a combination of the front and rear e-dials and the setting dial. * The Custom Image mode is fixed to Auto Select when the camera’s exposure mode is set to AUTO. ** Adjustable parameters may vary depending on the selected Custom Image mode. the high-resolution rendition in its hair and clothing and in the background. It depicts your subject with smooth texture and healthy skin tones. * Both of these functions are technologies developed by RICOH Co., Ltd. 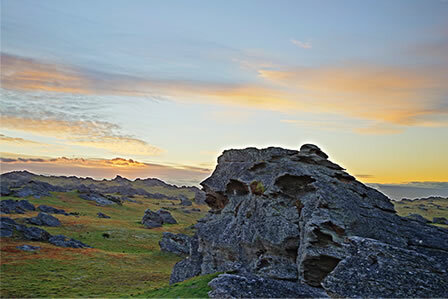 The K-1’s HDR (High Dynamic Range) mode* delivers an image similar to that detected by the naked eye, by minimizing white-washed highlights and pitch-black shadows, even with extreme high-contrast scenes. 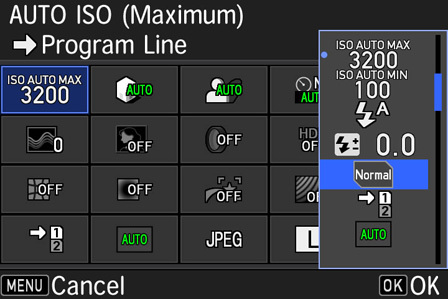 It also allows you to set a range of exposure shifts or use the Automatic Position Adjustment function. ** Since this mode can save original image files in the RAW format, you can develop them by changing HDR settings or turning the HDR mode off. By using a PC and the included software, you can also divide a single RAW-format file into three separate RAW-format images, and save them as independent files. * This HDR function cannot be used in some shooting modes, and is not compatible with some other functions. ** The Automatic Position Adjustment function is fixed at the OFF mode when the Interval or Interval Movie shooting mode is selected. The K-1 lets you capture the desired number of images — from two to 2,000 — to synthesize a single composite image, with three synthesis modes: average, additive and comparative brightness. 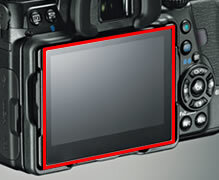 In Live View shooting, the K-1 displays a translucent image of the already captured image on its LCD monitor, allowing you to make precise alignment of the images. 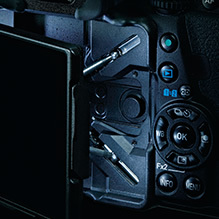 The K-1 offers a choice of nine digital filters during shooting, and 21 digital filters during playback. You can apply as many as 20 filters to a single image to create a distinctive, personalized work of art. 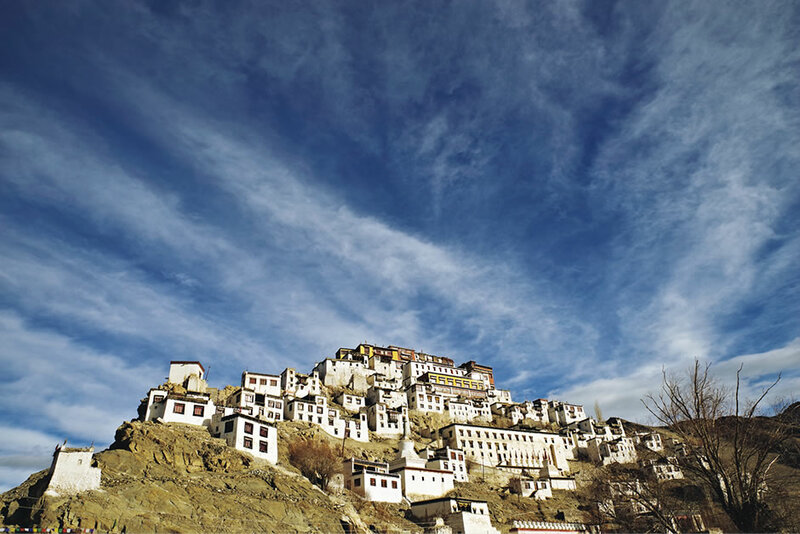 In contrast to the standard auto white balance mode, which is designed to suppress the effect of a light source color on the image’s color reproduction, the CTE (Color Temperature Enhancement) mode emphasizes the image’s dominant color based on the color temperature. It is useful in dramatizing sunrise and sunset scenes or snow-covered landscapes under the cloudy sky. It is also effective in preventing color fading or the loss of colors such as dark greens and faint pinks. included with the K-1), or monitor it during recording using headphones (commercial product, not included with the K-1). The K-1’s Interval Movie mode allows you to record still images of a slowly changing subject at a fixed interval, and link them into a single movie file. You can play back the 4K-resolution (3840 x 2160 pixels) movie file,* as if fast-forwarding the time on the screen. The K-1 also provides the Star Stream function, which lets you draw the magical traces of stars in a movie. * When playing back the movie file on a device other than the K-1, the user is advised to use a PC operating environment supporting 4K-resolution movie playback. By wirelessly connecting the K-1 with your smartphone, you can capture images from a distance, or browse them on the smartphone screen. * You can set various shooting functions and change their settings, adjust the focus, release the shutter, and check the captured images. * The dedicated Image Sync application is required for remote shooting and browsing operations. Image Sync can be downloaded free of charge from App Store (for iPhones) or Google Play™ (for Android™ smartphones). ** Access the RICOH IMAGING official website or contact our customer service center for compatible smartphone operating systems. By installed the optional IMAGE Transmitter 2 tethering software on your PC and connecting it with the K-1 via USB terminal, you can operate the K-1, automatically transfer and save recorded images, and check photographic data on your computer. This greatly improves the efficiency of studio shooting. 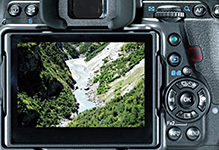 The K-1 provides in-body development of RAW-format files, with the developed files saved as separate JPEG or TIFF files. This offers greater flexibility in finishing a captured image more faithfully to your creative intention, without the help of a PC. Thanks to a wide range of adjustable parameters, you can add a desired finishing touch to your image regardless of a location, until you are truly satisfied with the result. The K-1 also features a newly designed user interface for more effortless, more flexible parameter control. and “RAW/JPEG Division” to separate data files based on the recording format. It is also possible to copy an image stored on one card to another. Supported by the acclaimed SILKYPIX® image development engine, this software allows you to browse through captured images and develop them into RAW-format files on a computer. It is compatible with the K-1’s new features, including the Flat mode of the Custom Image function and the Motion Correction function of the Pixel Shift Resolution System.